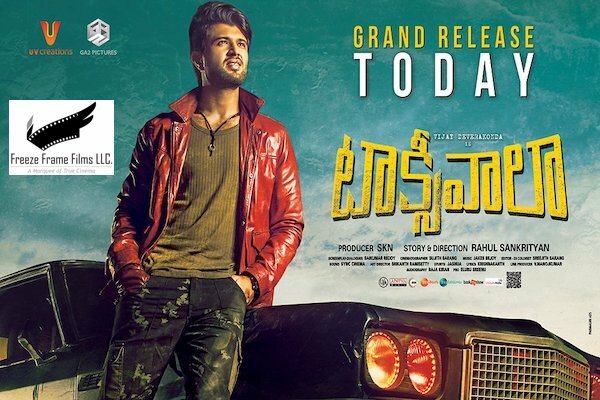 It’s been quite a bumpy ride for Taxiwaala. 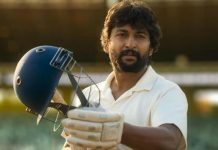 A young team of hopefuls, containing names that were looking for a break to make it big in the Telugu film industry came together to make a film they believed in. They got lucky that leading production houses like Geetha Arts and UV Creations supported them in this journey. 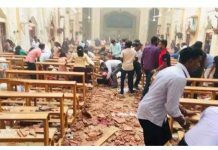 But that didn’t mean they had it easy. It has been a work and then waiting of almost two years to reach this point. Delays because of the nuanced Computer graphics (over 600 VFX shots), then eventually a leak a few months before the release that was contained, and finally a leak that came just ahead of the release. All these have come one after the other leaving the team in a quandary. But beating all odds, the team has garnered strength to move ahead and finally releases worldwide on November 17. And we at Freeze Frame Films want to salute their spirit even as we share the pride of bringing their film to the audience in the USA. For all you people across the States, we’ve planned grand premieres tonight, November 16. “Experience The Jolly Ride On The Big Screens”. 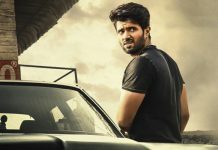 Starring Vijay Deverakonda, Priyanka Jawalkar and Malvika Nair as the female lead, the film is directed by Rahul Sankrityan and is a joint production of GA2 Pictures and UV Creations with SKN at the helm and has been made in the unique genre of “Supernatural and Science Fiction Thriller/Comedy”. CLICK HERE!! for the USA Theaters List.